You may remember that Ryan and I embarked on the start of a ketogenic journey at the beginning of the year. We did really well for 30 days, then we trailed off, and we kind of got lost in the midst of our PCS journey. Prior to that, however, we were doing amazing. Ryan had lost 14 lbs in a month, and I lost 11 – insane, right? Ryan’s been doing really well sticking with keto, and I’ve been better lately, and I’m definitely feeling the benefits. So, here’s the biggest thing to know about the ketogenic diet…it’s not that hard. Really, it isn’t. In fact, it’s pretty simple when you break it down. Focus on high fat, extremely minimal carbs, and once you’re emotionally (and mentally) past that idea that you need carbs to survive, your body will actually thank you for omitting them from your diet. Another great thing? You won’t be as munchy. You’ll feel full longer, and your body will feed on its fat stores once it’s properly in ketosis. I mean, does it get better than that? One of the biggest things when I started this keto journey, however, was that I was daunted by what to eat, when to eat it, and how to eat it. Frankly, it’s not that hard, but it is a little intimidating when you start. I’ve learned to rely on shakes in the morning to get a punch of calories, a yummy (and quick) meal, and a lot less guesswork. The best part is that these shakes are easy to prepare, you’ll probably have the ingredients on hand, and you’ll love how they taste. 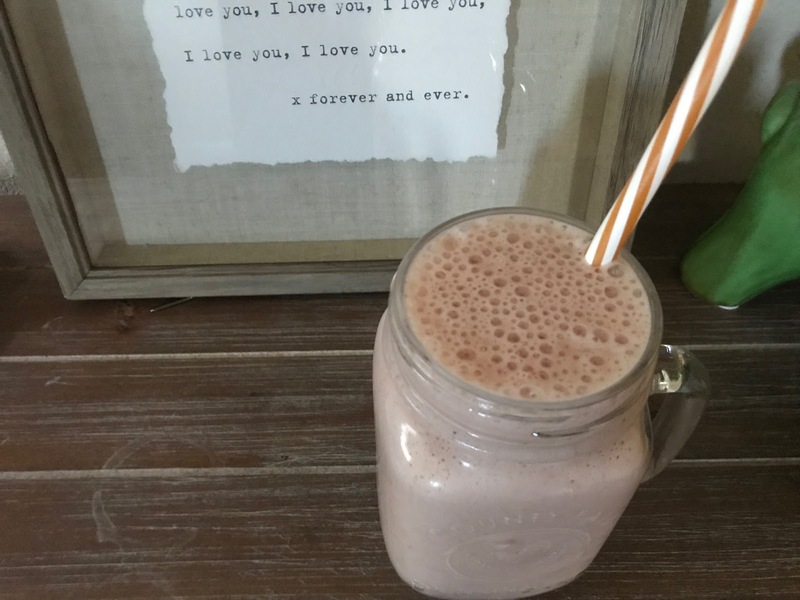 I posted my favorite Keto Snickers Shake recipe a few months ago, and now I want to share my newest favorite – the Keto Strawberry Shake. That’s it. Seriously – easy peasy, right? 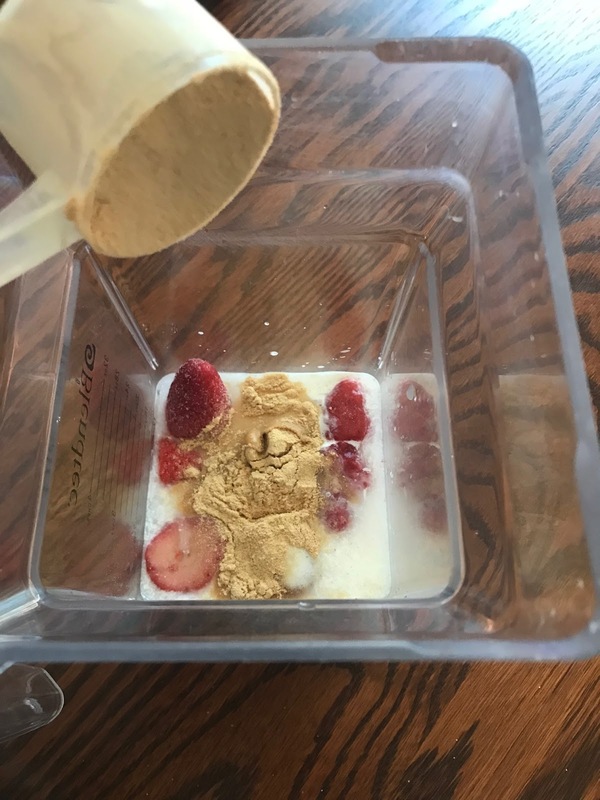 Throw all your ingredients in a good blender (we have this one here), and blend it until it’s creamy, smooth, and a pretty pink color! The strawberries act as the ice to thicken it and add that shake-like texture that’s totally ideal here. Also, I usually blend it for a full 45 seconds for a super-rich and frothy texture. So, a keto diet (based on 2,000 calories a day) usually shoots for less than 20 grams of carbs a day. 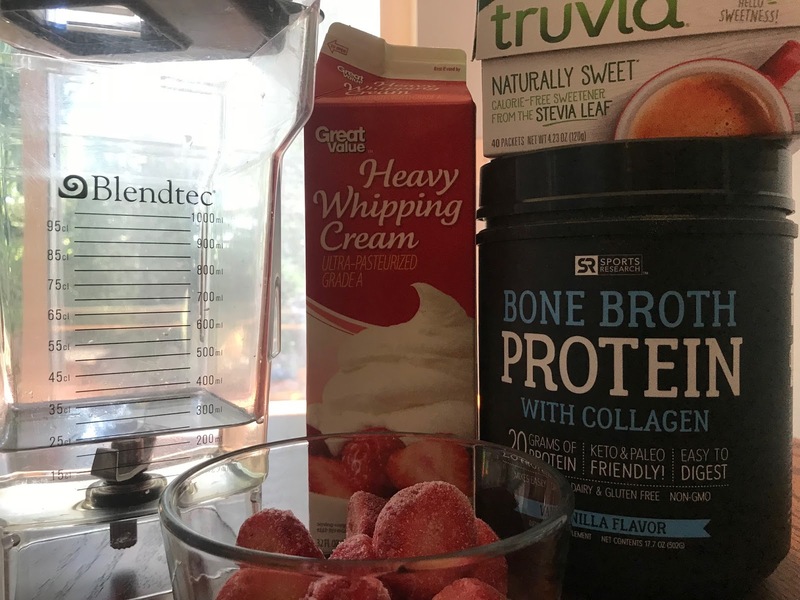 This shake is on the higher side of carbs, in large part because of the strawberries, but trust me when I say it’s worth it. I tend to back off all carbs in the latter half of the day anyway, so it helps me to frontload a little, too. 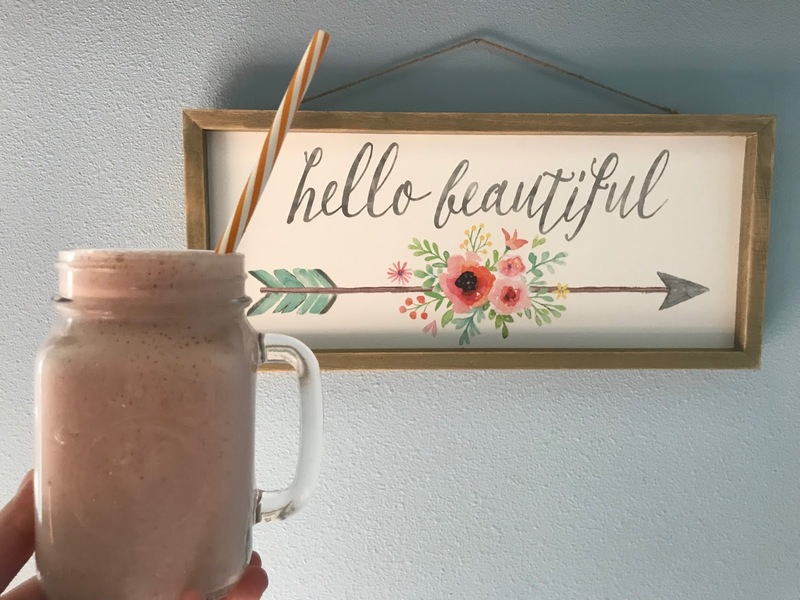 This shake will definitely fill you up, and I often find it tides me over until a midday snack of nuts, or an egg – a win-win, friends! Have you tried keto or any keto recipes? What do you think?